Rimmel Kate Moss Matte Lipstick in 107 & Giveaway Winner! I'd been lusting after shade 107 of the new matte Kate Moss for Rimmel lipsticks for a while, after seeing how amazing it looked on a whole range of bloggers. Father Christmas had kindly popped it in my stocking and come Christmas morning, I was a very happy bunny indeed! Deep wine and plum colours for the lip have been a big A/W beauty trend. This shade is perfect for achieving this look on a budget and is simple and easy to do. I always pop on some nourishing Carmex before I start the rest of my makeup. This ensures that my lips are smooth and moisturised by the time I apply my lipstick, which is always the very last thing I do. The next step is to line the lips, to make sure your lippie stays on for longer. I use Barry M's lip liner in shade 9 - Mulberry. This pencil is amazing and looks great even just worn all over the lip on its own. A big thank you to my sister for finding this, it's a perfect match too! The final step is obviously applying the lipstick itself! What I really like about matte formulations is that they're incredibly versatile as the shades are so buildable. For a strong look, apply directly onto the lip from the bullet. Or if you'd like a more subtle hint of colour dab a little of the product onto your lips and blend in with your finger. I actually prefer a finish that is in between these two and apply with a brush. The Real Techniques Detailer brush is fantastic for this (it's available in the Core Collection). This has been my most worn lipstick of late, I love the drama it can add to an everyday look. 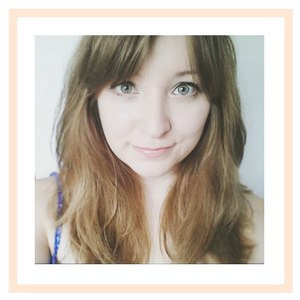 It's time to announce the winner of Brighton Girl's first birthday giveaway, in which the Rimmel Kate Moss Matte Lipstick in 107 is the prize! Congratulations to Kirsty! What do you think of this shade? Have you been loving the plum lip trend as much as I have? 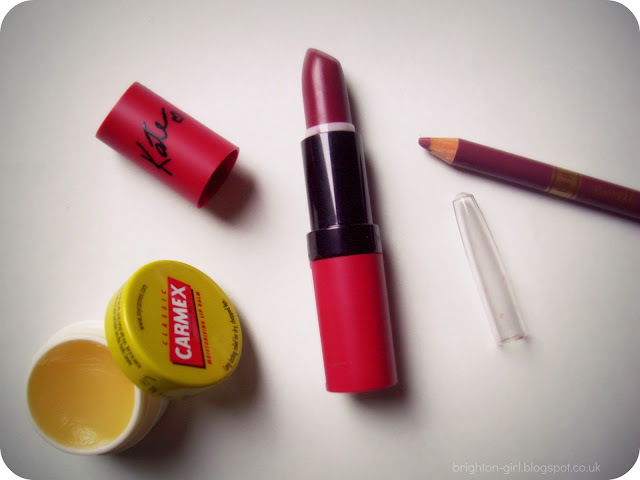 carmex is my favorite, also the Rimmel lipstick. I've been looking at reviews of this lipstick all night! Glad to hear you like it. I'll definitely be stopping by my local drug store tomorrow and picking up a tube!